Air purifiers are designed to remove allergens and contaminants such as pet dander, tobacco smoke particles, and dust from the air in an efficient manner. These air cleaners may be used in living spaces and work spaces to provide people with clean, high-quality air that lowers the risk of respiratory infections and illnesses. Though all air purifier models work to improve a breathing environment, individual models differ in terms of structure, portability, and specifications. 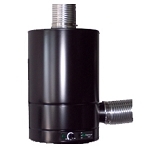 Consumers and businesses have a variety of options available in regard to which type of air sterilizer to purchase. To satisfy the needs of all customers, WaterFiltersFAST.com offers numerous air cleaner models with a range of features and functions. Many air cleaners are equipped with a HEPA (High-Efficiency Particulate Air) filter. 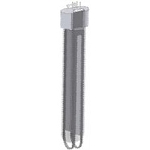 This type of filter is capable of removing contaminant particles that are 0.3 micrometers or larger in size from the air, which results in a sterilized home or work environment. 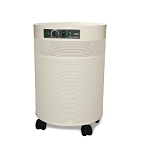 Air purifiers with HEPA filters are commonly built with carbon pre-filters as well. These pre-filters help to absorb odors and coarse particles so that the HEPA filter of an air sterilizer can work efficiently for a longer period of time. 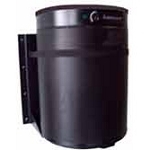 An air cleaner may also be designed to purify the air using ion technology. These air purifier models utilize electrically-charged ions in the distribution of harmful air particles to a collector plate, a process that cleans and neutralizes a breathing environment. Ion technology allows air purifiers to filter airborne viruses, bacteria, and fungi from a living or working space. This is particularly beneficial for individuals who are asthmatic or who suffer from allergies. 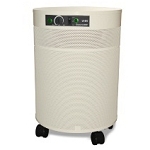 At WaterFiltersFAST.com, customers can find both HEPA filter and ion technology air sterilizer models. 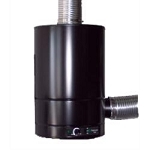 This website offers portable and mountable air cleaners so that consumers can easily transport a device between rooms in their homes or places of business. 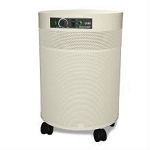 All air purifier models available for purchase through WaterFiltersFAST.com adhere to official safety standards. Customers can browse through the various air cleaner product descriptions in order to determine which models meet their desired specifications in terms of color options, energy efficiency ratings, and manufacturer warranties.